Apple is constantly at work on new technology, which is quite evident in the numerous patents it files every other month. This latest one the company has filed just might be the most promising. According to reports, the Cupterino Clan are looking to create a 3D gesture-based computer interface—similar to what we’ve seen in Minority Report—allowing users to interact with objects on a screen from a distance by moving their hands and manipulating virtual objects in mid-air. Dope, huh? Word is the system would work through the use of a camera that could detect motion and depth, therefore triggering actions on the computer. In addition, the concept is described to use a variety of gestures that could initiate interaction via software, without the need of sitting in front of the screen. 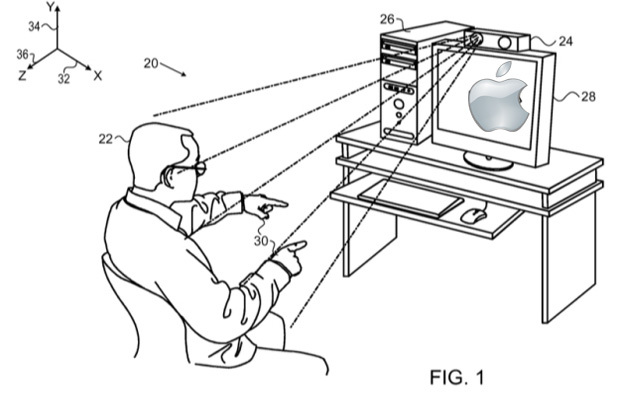 The patented is titled “Three dimensional user interface session control” and numbered 8,933,876, for those of you looking to keep tabs on Apple’s developments with the technology.